Mini-Pumpkin Figures This is such an easy way to add a pop of color to any bookshelf! 2. Then take some metallic paints, matte paints, sparkles, glitter, confetti, or any other decorating supplies and go crazy! 3. You can do stripes, circles, faces, or even color the entire pumpkin! 4. Such an easy and fun way to make your books even more beautiful! It's that easy! They also look really nice in empty spaces on my bookshelf! Cobweb Creation To make a beautiful cobweb effect over your books, just follow these steps. Now I obviously used a picture from Google, but you can predict the outcome. 2. 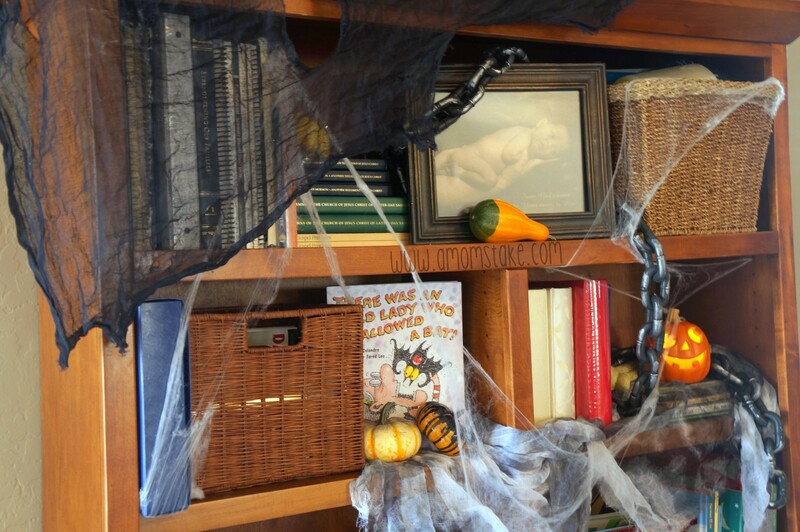 Starting from the top of your bookshelf, spread the webs along each corner and layer them on top of your books. 3. It should look something like this photo. Remember: You can always get creative with these steps! The pumpkins in this photo are also a really good touch! I'm not really a Halloween person, I'm more Day of the Dead person since my parents are full Mexican and all, but these kinda work for that too :D Definitely gonna try some of these, I love the bookends especially! Love love love these! Especially the first one. I'm actually going to do that one. I saw some cobwebs at Waitrose earlier so I'll go and pick them up. Definitely trying these out!